Master Hire’s scissor lifts allow you to work at various heights safely. At Master Hire, our 32ft Scissor Lifts are simple to operate can be driven while at height and have pothole protection for safety on slightly uneven hard surfaces. The electric slab scissor lifts are fitted with non-marking, solid tyres and a large platform workspace with rollout deck extension. Renting is the best, cheapest and most effective option, particularly if you only need access to the scissor lift over a short period of time. Our Scissor Lifts are easy to use and Master Hire’s free customer hand over includes a thorough walk through and training to ensure you can operate the machine confidently and safely at all times. Master Hire offers convenient delivery and pick up options. Speak to our team for delivery rates variant on location. 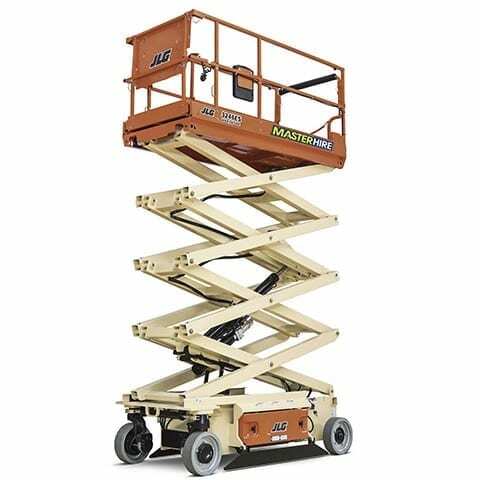 For more information on the Scissor Lift, or to enquire about our rates of hire, contact Master Hire on 1300 107 107. SKU: slift32. Category: Scissor Lifts. Tags: Access Equipment, Elevated Work Platforms, EWPs, Man Lifts, Scissor Lifts, Scissors.